Welcome to ‘Apartment Joli’, luxury 4* accommodation located in the Piste du Soleil Chalet complex, at the heart of the pretty Alpine village of Le Chinaillon, Grand Bornand. Situated in the popular Aravis mountain range, the apartment sleeps 10 people, so is large enough to accommodate groups and two or more families. It is well equipped with facilities for guests of all ages, including small children and babies. Mid week cleaning can be organised for Wednesdays. 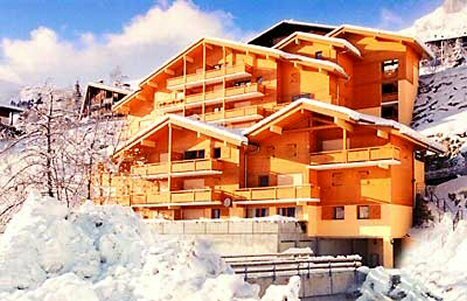 Apartment Joli, is not only situated a few yards from the main ski lift, but is also situated very close to all the town’s main amenities. Via the building’s internal lift, there is access to both lower and upper Chinaillon. Facilities such as bars, restaurants, shops, the chemist, supermarket and tourist information office are therefore only a short stroll away. Hi please could you let me know if the apartment is avaliable for the week of the 16th febuary and if so how much would it cost.we have a party of six adults and three children. Thanks a lot for posting The Apartment � Le Chinaillon Apartment, I just actually was searching for anything similar and was relieved to find the advice through this particular post. this blog post. Where can I actually learn more concerning this? I would like to come 3 persons at 27 January til 3 February. What is the distance to the piste/ski lift? Looks like a fabulous location! C’est “Rêves d’Hiver ” qui m’a dit de vous contacter de leur part car nous recherchons un grand chalet ou apart( +/- 12 pers) pour fevrier: du 6/02 au 13/02 . Les changements de zone font que nous n’avons pas pû louer le même chalet que d’habitude! Merci de me repondre. And we can exchange in English as well: no prob. Have a nice day! The Woodbury family had a great week at 14 Piste du Soleil last week. Everything was excellent and I would recommend it to friends. Unfortunately we brought a front door key home with us which I would like to return ASAP. Where should I post it to? Hi I’ve visited the apartment before with friends, loved it and would love to come back with extended family. I know it’s looking ahead but is it free over Xmas 2017? If you could email me directly I could clarify dates. Many thanks. Gorgeous apartment and resort.